Comment: This is a repeat request. The front cinder block wall adjacent to sidewalk is cracked and leaning. Front gate, attached to wall, is now sagging and I am unable to close it properly. Gate and/or wall needs to be repaired/replaced a.s.a.p. Comment: Front gate is sagging and impossible to close and lock; stone/cinder block wall is cracked and crack is growing, due to adjacent sidewalk becoming more uneven. Would like to have gate fixed so it will not sag anymore - if necessary, am willing to have gate replaced. If replacement necessary, would also like to ascertain whether or not portion of front wall needs to be replaced and realigned. Comment: I would like to get an estimate for repair small existing block wall at property line that was knocked down. Comment: Have a small project as my Dad knock down a pillar for gate in front of house. Comment: We're looking to replace a "concrete type" driveway area in front of the apt complex with red bricks, pavers, etc. Comment: I would like to get an estimate for 6 brick posts with rebar, to support wought iron panels. Sylmar Brick & Stone Masonry Contractors are rated 4.78 out of 5 based on 921 reviews of 9 pros. 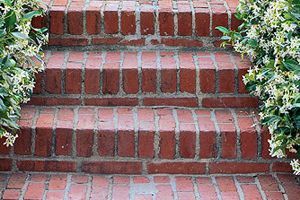 Not Looking for Brick & Stone Contractors in Sylmar, CA?